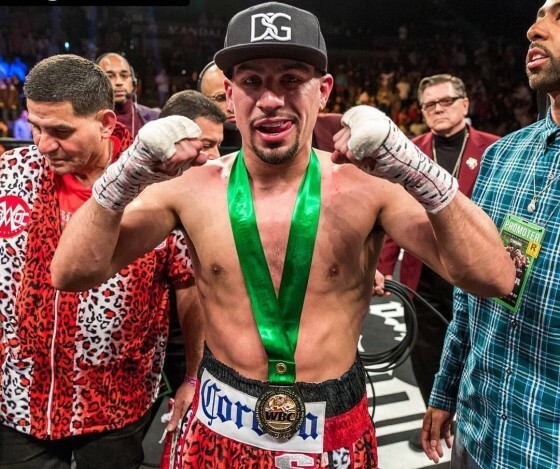 On Saturday night, Feb. 17, former two-division world champion Danny Garcia returned to the ring to score an emphatic 9th round TKO over former lightweight champion Brandon Rios. The bout took place inside of the Mandalay Bay in Las Vegas, Nev. on SHOWTIME’s airwaves and it was a contest that was far better than many expected, as Rios gave a great account of himself prior to the stoppage. But where does Garcia (34-1, 20 KO’s) go from here? There are a lot of interesting names at 147 pounds, including IBF champion Errol Spence Jr., WBA/WBC champion Keith Thurman, WBO welterweight champion Jeff Horn, former lineal junior welterweight champion Terence Crawford, former IBF champion Shawn Porter, and emerging contender Yordenis Ugas, amongst others. 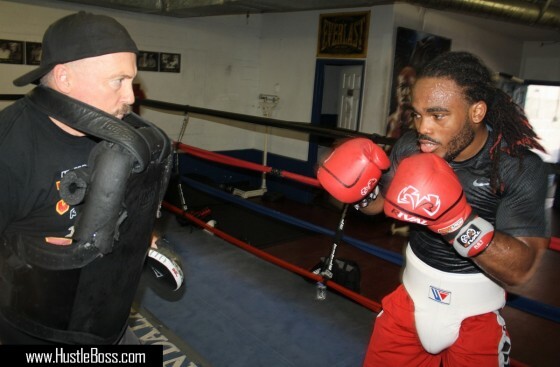 It was just a month ago when I crossed paths for the first time with aspiring amateur prospect Devaughn Lucas. Fighting out of Texas, Lucas is ranked #1 in the country at 125 pounds and I was able to catch him in action inside of Johnny Tocco’s Ringside Gym during their monthly First Friday Exhibition Sparring series. Lucas is very strong physically and also very much poised for his age. He went some rounds with fellow amateurs Jacob Cuevas and Cesar “Frijolito” Cardona and the action was fast-paced. Lucas seems right at home when he is on the inside banging away at his opponents, but when noticing his style further, there are a lot of unique movements that he makes. Images from Johnny Tocco’s Ringside Gym in Las Vegas, Nev. as another entertaining round of First Friday Exhibition Sparring took place. The sparring has been taking place since 2014 and there has been some excellent work that has went down. 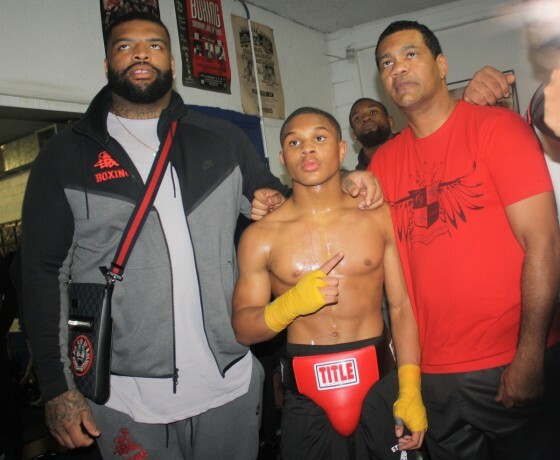 This past Friday, more quality action took place, including seeing super middleweight contender Denis Douglin (20-6, 13 KO’s) in action, as he worked with rising amateur Karam Al Mahseri. National champion Alex “ATG” Thiel was also back in the mix, as well as several other amateurs going at it. On Saturday, June 24, Las Vegas’ Jeremy “J Flash” Nichols will step back into the ring when he faces off with fellow unbeaten Peter Dobson inside of the Freedom Hall in Lousiville, Kent. Nichols (7-0-1, 2 KO’s) and Dobson (8-0, 5 KO’s) will meet in a welterweight attraction over 8 rounds and there is plenty of work being put in from Nichols’ part in Las Vegas. 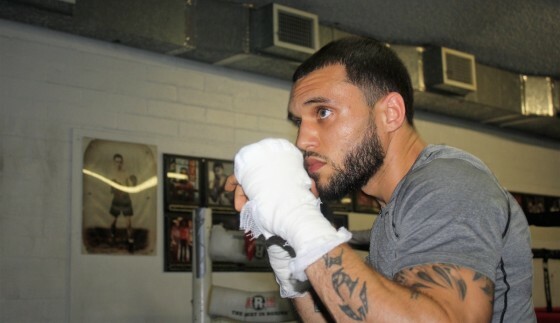 We swung through Johnny Tocco’s Ringside Gym recently and caught up with the welterweight prospect. 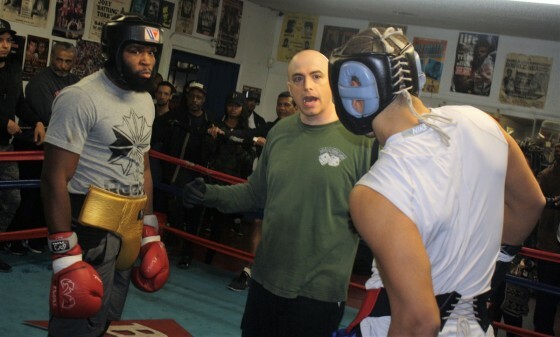 Earlier this month, inside of Johnny Tocco’s Ringside Gym in Las Vegas, Nev., undefeated super middleweight prospect Caleb “Sweet Hands” Plant (14-0, 10 KO’s) and once-beaten super middleweight Sena Agbeko (15-1, 15 KO’s) visited the gym to get in some sparring ahead of their respective bouts. Plant fights on Feb. 25 inside of the Legacy Arena in Birmingham, Al., against Ghana’s Thomas Awimbono (25-6-1, 21 KO’s) on the same card that WBC heavyweight champion Deontay Wilder faces off with contender Gerald Washington. The following month, on March 17, Agbeko returns against journeyman Rashad Jones in Nashville, Tennessee.